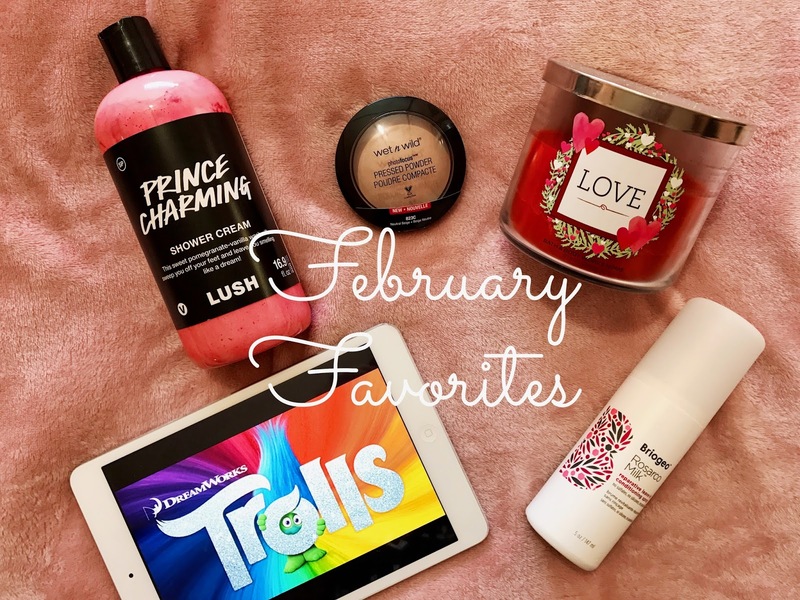 The month of love is just about over so I'm going to share with you today some products that I loved throughout the month of February. Early this month I picked up the new Wet N Wild Photo Focus powder. I've been on the look out for a dupe or even a close to similar product to the Mac Mineralize Skinfinish powder. My current one is close to being done and I won't be repurchasing. One of my favorite Youtubers raved about this powder on her favorites video. She mentioned that it sets her foundation so well and no matter how much of the powder she applied it never made her skin look cakey. This powder claims to make your skin look silky soft in photos and in real life. When I used the powder for the first time I was so in love with how soft the powder felt and it immediately reminded me of the Mac MSF I need to replace. It definitely gave my skin a soft focus look, my skin felt so soft, and it looked very natural. You can't even detect that there was any powder on my face because of how light weight it is and the powder has a beautiful satin finish. I tend to worry when I try out new powders for the first time since my skin is oily I never know how if it'll control it. I haven't noticed my skin looking more oily than usual, in fact I kind of feel it's helped keep my face looking very radiant not matte but not dewy either. I love this powder so much and they even released a photo focus foundation and concealer and I really want to give a try now. I'll definitely continue to repurchase this powder I'm just sure of it and it was only $5. Wet N Wild is also cruelty free! With Valentine's Day being this month I had to pull out my Love candle from Bath and Body Works that I purchased last year around this time. I really like when B&BW releases Holiday themed candles such as this one because it makes a great decorative item while making the house smell amazing. Definitely sets a festive mood. This candle gives me that wonderful spring vibe from its fresh floral scent. The notes from this lovely candle consists of; spring cherry blossoms, fresh strawberries and sweet tonka. I don't usually like strawberry scented things but in this candle I can't distinguish the scent. I do however pick up both cherry blossoms and tonka scent and it's so nice. The floral fragrance has been making me extremely excited for spring to come! This is the candle I have been burning majority of the month and like I said I just love its holiday theme. It has been perfect to burning this month however I cannot burn it for too long because of its scent. It can become a bit potent for me since I get headaches too easily especially from fragrances. Sadly this candle was limited edition and I didn't see it in stores this year. I purchased two of them last year so I'm currently burning my last one. Here we go again, another Lush product and also another Valentine's Day related item haha. Lush Cosmetics came out with a large range of Valentine's Day products from massage bars, bubbles bars, bath bombs, shower cream and more! I really enjoy their shower gels/creams, when I heard of Prince Charming shower cream the name quickly had me smitten. I had finished up with my Yuzu Cocoa shower cream so it was the perfect time to bring Prince Charming into the shower with me ;) This hot pink shower cream is a dream! I love how pigmented this cream is when I lather it up on my body it makes showering so much fun. (Don't worry it doesn't stain one bit.) It has a soft fruity scent which consists of grapefruit, pomegranate juice, and sweet vanilla pod. I'm not a fan of vanilla scent but I find that in this shower cream the scent is very mild. Prince Charming will leave your skin feeling soft and moisturized with its skin softening oils. Lush's Valentine's Day items are limited edition so I'd suggest you to go to your local Lush to check out this shower cream that's made for royalty while supplies last. I have seen them in a few of my Lush stores still, but not many. You guys have no idea how obsessed I've been with the movie Trolls! This has been a monthly favorite of both mine and Rudy's. To be honest I had mixed feelings about this movie when I first seen previews but quickly became interested in it. I first watched the movie back in December online so the quality wasn't the best and because of that I always wanted to rewatch it. Finally this month I rewatched it and fell in love! I had mentioned to Rudy that I was watching it one morning and a couple days later he wanted to watch it. A couple of days later I wanted to watch it again so bad but I didn't know if he was going to want to watch it since we had literally watched it a couple days prior. On Valentine's Day I asked Rudy if he wanted to watch Trolls and his respond, "YES!" haha. The story is so cute and what I love most is the songs they're so catchy! They have a lot of really cute songs that I find stays stuck in my head a few days later. By far my favorite song is 'Get Back Up Again'. It's very motivating. Poppy is definitely my favorite character I just love Anna Kendrick, but Branch is a close second. I love so many of the characters they're all so funny and Rudy and I area always talking about them. Smidge is another favorite of ours. If you haven't seen this movie you have to! Then once you do you have to come back to this post so we can talk about the Movie. This movie may even be my number one favorite of the month. I had been in need to pick up a new heat protectant spray for my hair since the one I was using only had a couple more uses left. Just before 2016 ended I picked up the Briogeo Rosarco Milk Reparative leave-in conditioning spray from Sephora. After reading the claims to this product online it all sounded promising and was exactly what I was looking for. This spray claims to diminish frizz, add softness and shine, and protects against heat and UV rays. I've been using this spray since January but I wanted to make sure I used it for a good amount of time before I start raving about it. Since I don't wash my hair very often I chose to not include it on my January favorites. I was very close to doing so but I had only used it I want to say two times but I was already really enjoying it. I've used it a pretty good amount of times now I feel and I really like it. I spray this onto my damp hair then I blow dry my hair and it feels so incredibly soft. It leaves my hair a lot softer than the other products I've used and it doesn't weight my hair down, huge plus. It also doesn't leave my hair greasy or anything but I do avoid spraying this on my roots. The spray smells so good too I absolutely love when I get to use it just because of its scent. Briogeo is also cruelty free which makes me extremely happy because I look forward to trying out some more of their hair products. I just received their blow dry heat protectant hair créme in my Ipsy bag which was the one I included in my Christmas wishlist! I'm so excited about that. I'd love to hear about some things you've been loving this month. I'll need to try that setting powder, I currently use the Rimmel stay matte powder and I really like it! TROLLS!!!!! I was so obsessed too, especially that week I was sick. lol I'm kind of tempted to buy a large bottle of that Prince Charming. I've used it twice and I really like it.